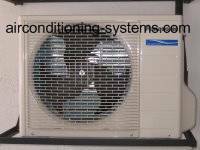 The ductless split installation of the air conditioner has been simplified in recent years. Many of the design and construction of both the indoor and outdoor units have been done to make them as simple as possible for the field installers. Installers no longer need to charge the refrigerant as both units would have been pre-charged at the factory before being shipped. The ductless split air conditioner is also known as air cooled split unit. This type of air conditioner is growing in popularity in the United States of America due to its lower unit and operational costs compared to the chilled water system. Here are some precaution that the technicians will need to take when doing the ductless split installation. The outdoor unit is also known as the condensing unit where heat is rejected to the atmosphere. The cooling capacity of the unit will drop as the condensing temperature increases hence maximum transfer of heat to the surrounding will ensure better capacity. VENTILATION - The outdoor unit should be installed in a location which is well ventilated. Remove any obstacles that block the discharge air or intake air to the unit. SHORT CIRCUIT - Check that the hot air that is discharged from the condenser is not drawn in by the unit. This is call short circuit of the hot discharge air. When this happen, the unit will not operate efficiently as heat is not rejected properly. Check the air intake and air discharge clearance distance from the manual provided. ENVIRONMENT - If the outdoor is to be installed near oil refinery plant, hot spring or coastal area, the environment may contain a large amount of oil, sulfide gas or salt which is damaging to the unit. In cases such as this, ask the factories for modifications that need to be done to the unit to operate in such a harsh environment. SUNLIGHT - For better efficiency, use awning to prevent exposure of the unit to direct sunlight. WATER - Ensure no water enter the refrigerant when connecting the refrigerant piping between the indoor and outdoor units. Don't leave the pipe exposed and extra care has to be taken during raining day. DUST - Ensure not to expose the copper piping to the atmosphere as this will cause dust to enter the pipes. 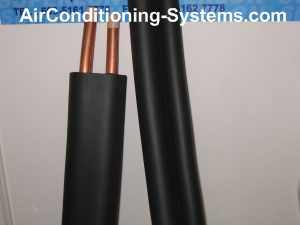 Make sure the caps are in placed as dust in the refrigerant circuit can cause clogging in the capillary tube. PIPING LENGTH - Make sure the length of the piping between the two units is within the recommended length. If the piping is too long, the compressor oil and refrigerant will not be able to circulate properly hence causing the cooling capacity to drop. Not enough oil in the compressor will damage it. The best configuration is placing the unit back to back thus having minimal length. Maximum piping length may range from 15m to 40m. PIPING ELEVATION - If the height between both units is too high, the compressor oil will not be able to return easily to the compressor. This will degrade the performance of the compressor and reduce the cooling or heating capacity of the system. Follow the recommended elevation. Maximum elevation may range from 8m to 15m. PIPING SIZE - The sizes of the pipes in the specifications have been designed for optimum performance. Wrong sizes may cause the compressor to breakdown. Typical liquid pipe sizes are 1/4" and 3/8" whereas suction pipe sizes include 5/8" and 3/4". PIPES INSULATION - Make sure that the pipes are insulated to minimized the loss of energy to the atmosphere which in turn will cause a drop in cooling capacity. LIQUID and GAS PIPES - Make sure there is no wrong connection between these two pipes. If connection is wrong, the evaporator will freeze during cooling causing water to drip. The capacity will also drop and the noisy refrigerant sound will be heard. BENDS - During installation, try to reduce the number of piping bends as the system resistance increases with the number of bends. It will disturb the refrigerant flow hence causing the capacity to drop. Maximum number of bends should be 10. CRUSHED PIPES - Use proper tools to bend the copper pipes. Dented pipes will restrict the flow of refrigerant. This will cause the copper pipes to freeze. REFRIGERANT SHORTAGE - Make sure the amount of refrigerant is enough. 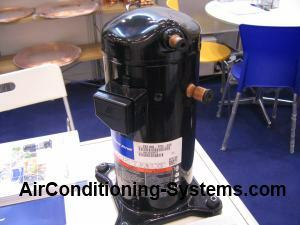 Lack of refrigerant will cause the compressor to be damaged due to overheating, and drop in capacity. The indoor coil may also freeze. REFRIGERANT SURPLUS - Too much refrigerant is also known as overcharging. When this happens, the liquid compression will happen causing damage to the compressor valve plate. POWER CONNECTIONS - When connecting the power supply to the terminal, make sure the connection is firmed and not loose. Loose connection will cause arching causing heat to be generated. As a result, the lead wires may burn. At the same time, the compressor running ampere will go up as the rated voltage is not obtainable. The compressor will go into overload causing the air conditioner to stop operating. LEAKAGE TEST - During maintenance and when checking for leakage of refrigerant, do not use Oxygen or other flammable gas. These gaseous may cause explosion. The recommended gas to use is Nitrogen or refrigerant when doing the leakage test.